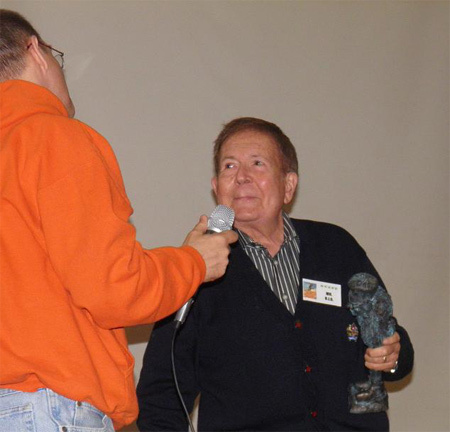 Photos provided by Barb Heiss, Tom and Eileen Jackson, Arch Hall Jr., Malcolm Gittins, Evan Kendal, Brian Kegan, Ted Lewczyk, John Sargent, Charles Henson, David Nelson, Theron Statler, Michael Joyner, Karl Spisak and others - thank you! 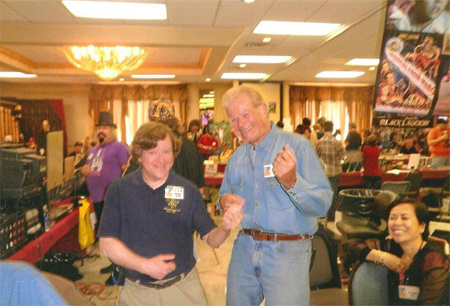 Attendee Michael Joyner gets to play "Wild Air Guitar" with Arch Hall Jr! 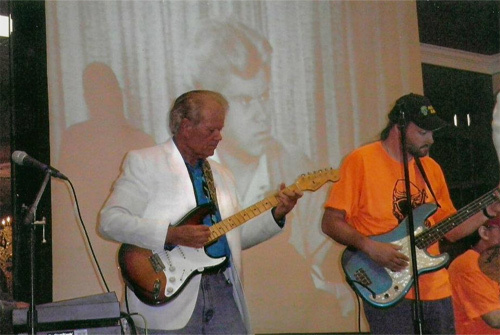 Arch Hall Jr. and Dan Weber of The Bash Boys rockin' Monster Bash Friday night. 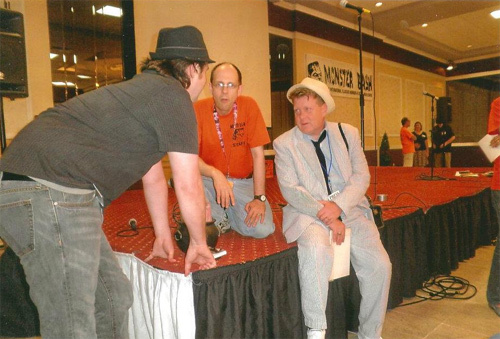 Daniel Griffith, Ron Adams and Kolchak (Bobb Cotter) plot Mexican Monster Night at Bash. 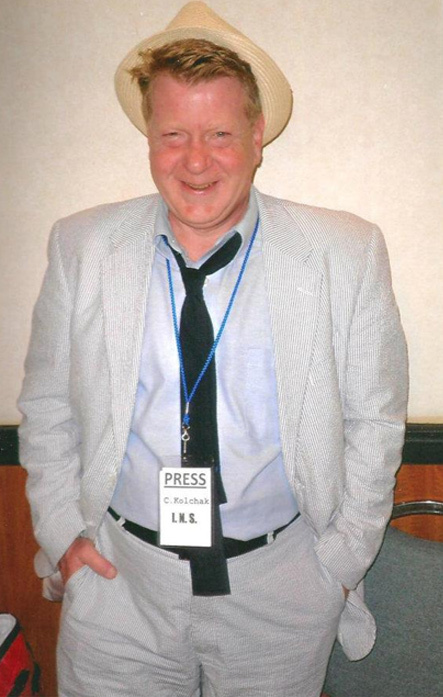 Kolchak investigates monsters at Monster Bash! 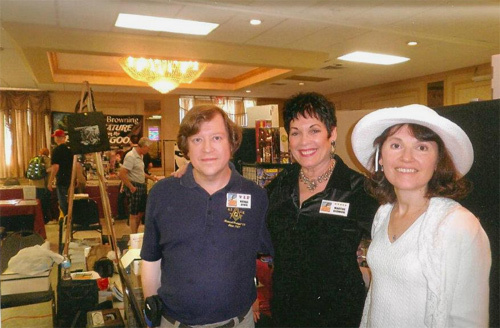 Michael and Diane pose with Martine Beswick (center) at Bash. 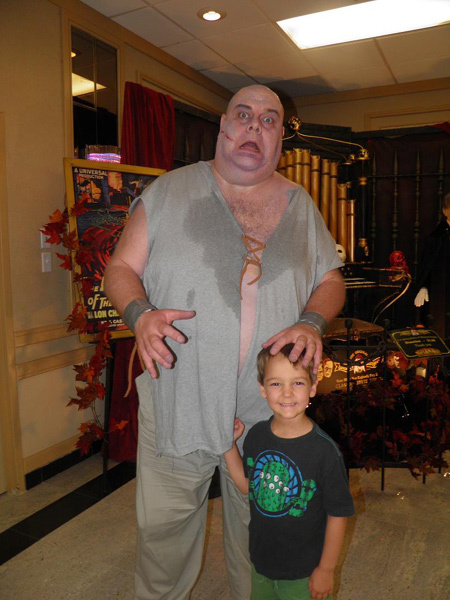 Michael Joyner and Monster Bash funny-man-made-monster Don Reese! Yikes! 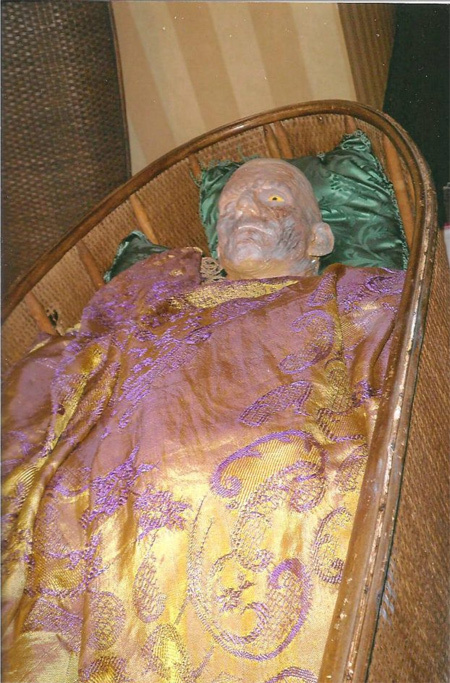 Mummy in the lobby! Mummy painted by attendee David Peel. 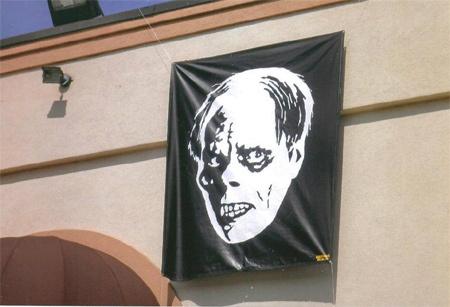 Phantom haunts the hallowed halls and is displayed on a giant banner outside the hotel. 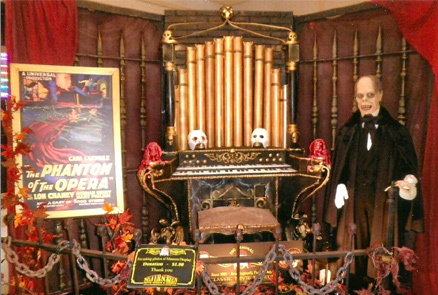 Monster Bash's Phantom Stage thanks to Cortlandt Hull and Bill Diamond! Michael Joyner and Pitch (Paisley Adams) get ready to duke it out on Friday night! 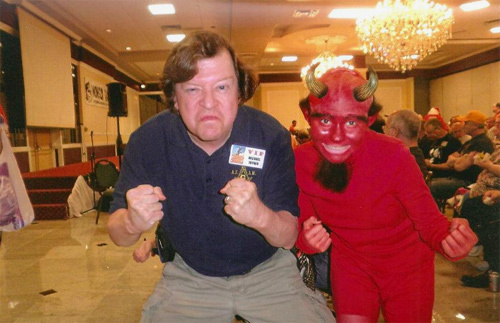 The inescapable David "The Rock" Nelson with the ever-present "Devil Ant" at Bash. 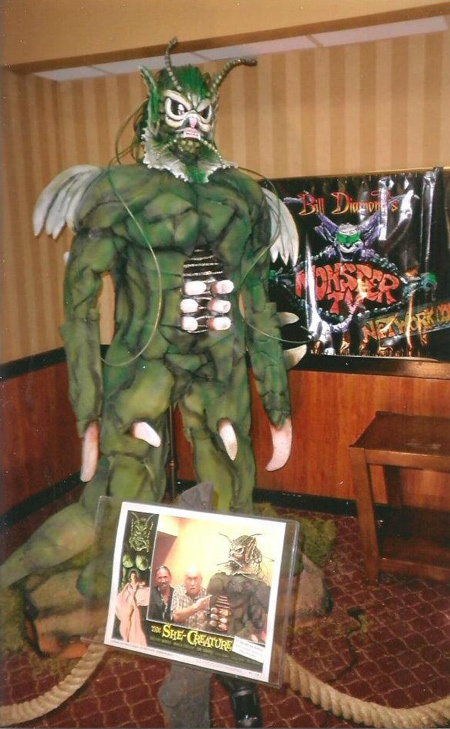 The She-Creature does Monster Bash thanks to Bill Diamond. 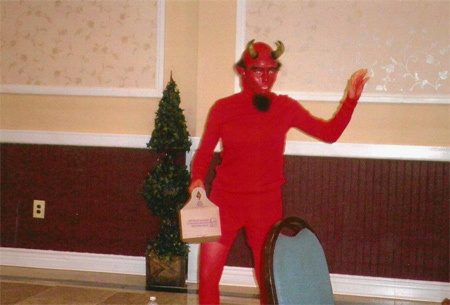 Doing that crazy thang - it's Ghoul A Go-Go! 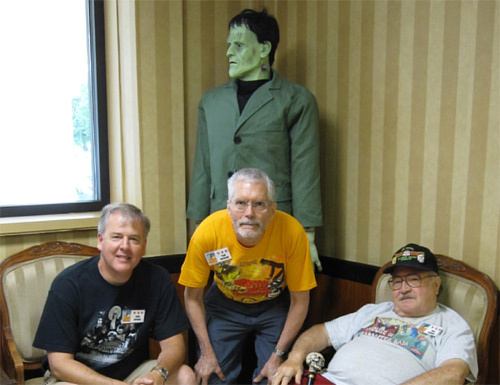 A quiet corner at Bash with good fiends - Paul Speidel, Tom Jackson and Bill Donnell. 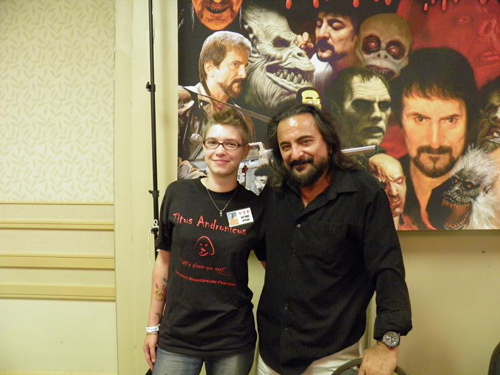 Autumn Spisak and Tom Savini hang out at Monster Bash....."Hey, didn't I see you on Sy-Fy?" 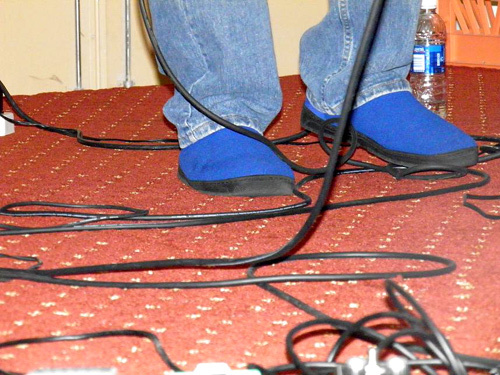 "The Bluest Shoes I've ever seen!," reports Karl Spisak, Bash attendee ho snapped this photo. Who wears those shoes? Dan "The Man" Weber of The Bash Boys....the Monster Bash house band. "Ahhhhhh! The Blob, The Blob is Back!" 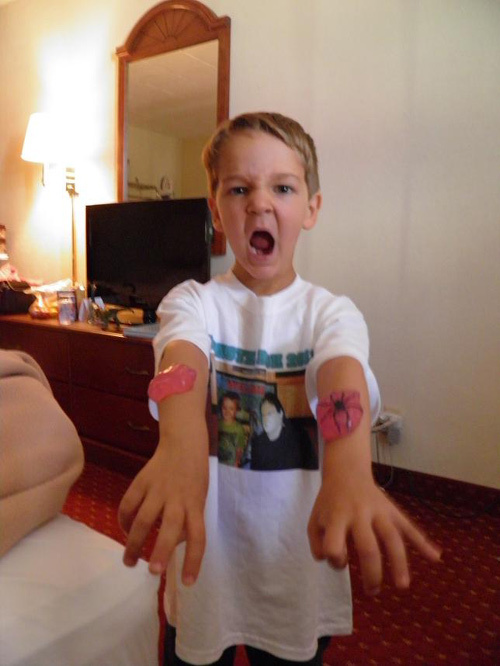 Brave Monster Basher "Hollis" is ready for the challenge to defeat The Blob once more and save America! Two women of class! 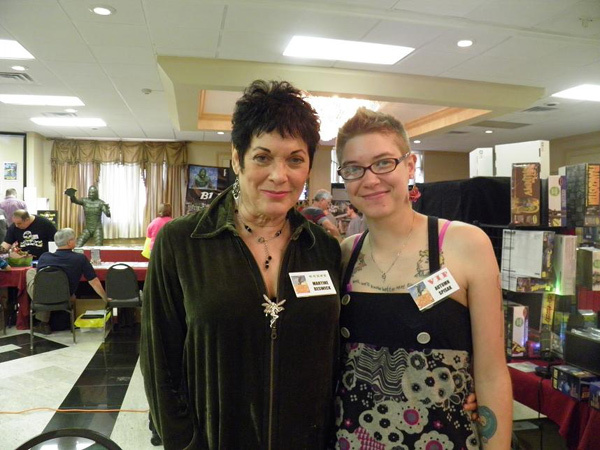 Actress Martine Beswick and Autumn Spisak. 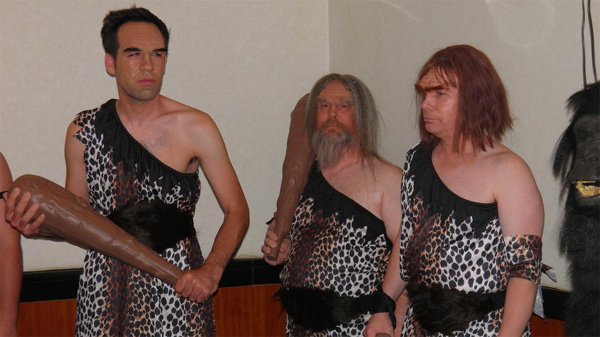 Who...or what was THAT?! 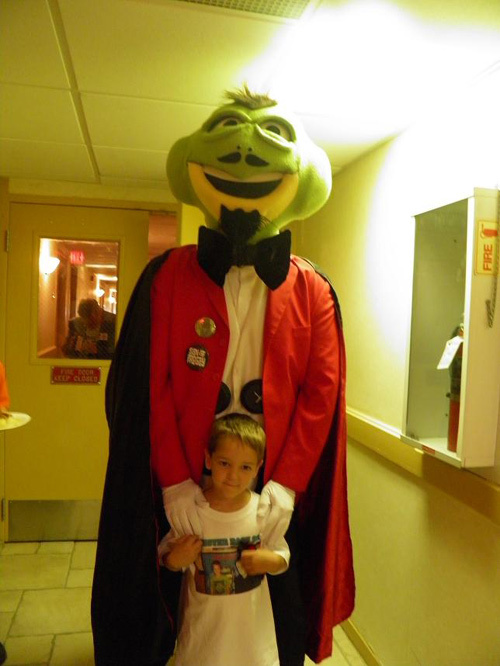 Young Hollis wonders....and the Ghost of Ghoulardi haunts the building. 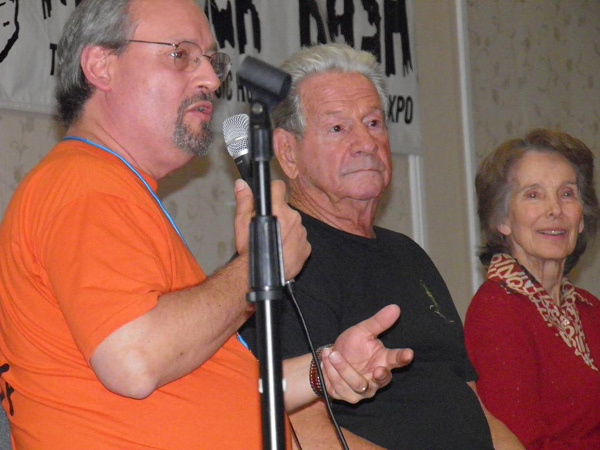 Bob Pellegrino moderates as Ricou Browning and Julie Adams take questions from the audience about the production of CREATURE FROM THE BLACK LAGOON. 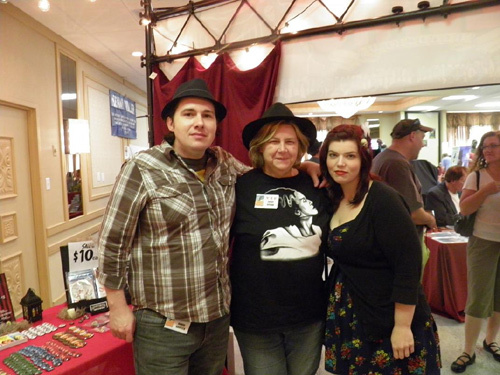 Documentary producer Daniel Griffith, Cathy Spisak and Jill are ready for a gangster movie together. "I'd like to thank the academy and more importantly, my dear friend, "The Devil Ant." 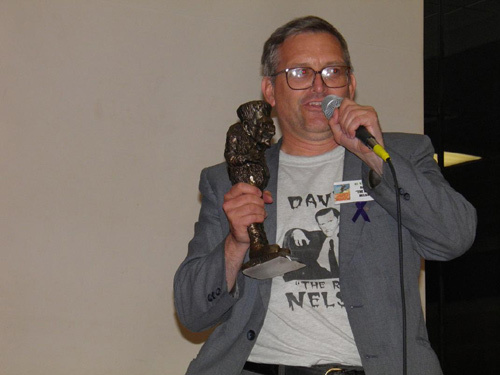 David Nelson gets the Monster Bash Award. 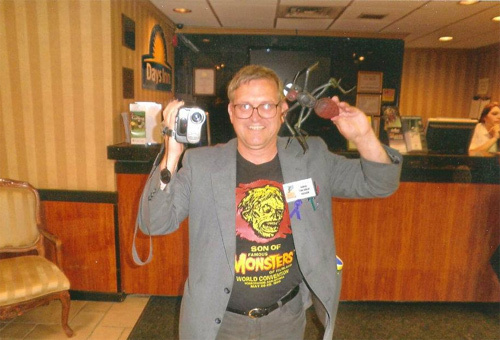 No one promotes Monster Movies like David. We mean that, no one. "I've created a monster....and it will destroy me." 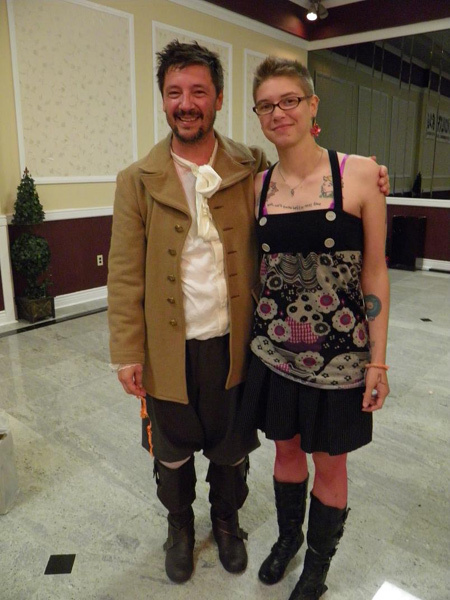 Zach Zito, one-man stage actor and Autumn Spisak. 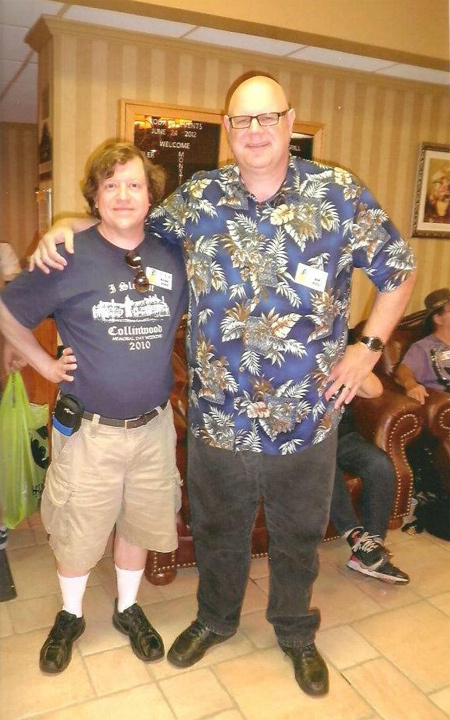 The Tor of Yucca Bash. Starring Monster Kid Hollis. 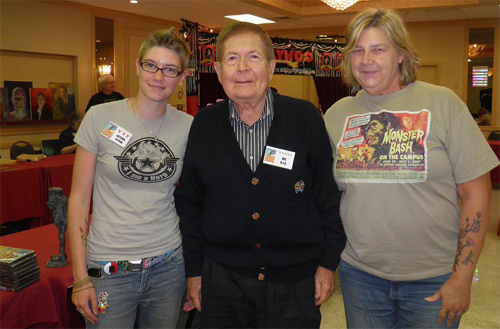 Bert I. Gordon is appreciated for bringing us a lifetime of monsters, B.I.G. style. The fans love Bert I. Gordon. 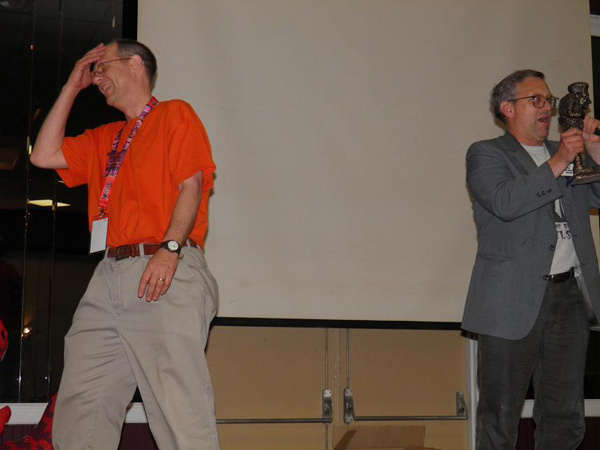 Autumn and Hollis are ready to take off to next year (2013)....as the Bash moves to Mars, PA. 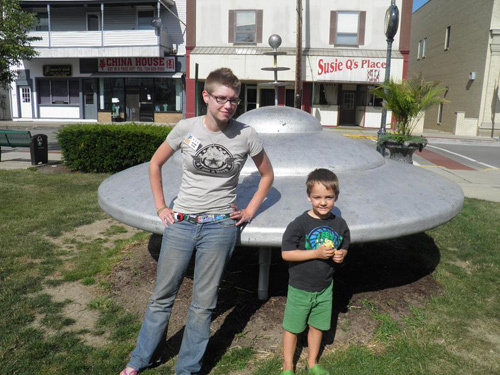 This saucer is in the center of town in Mars, PA. 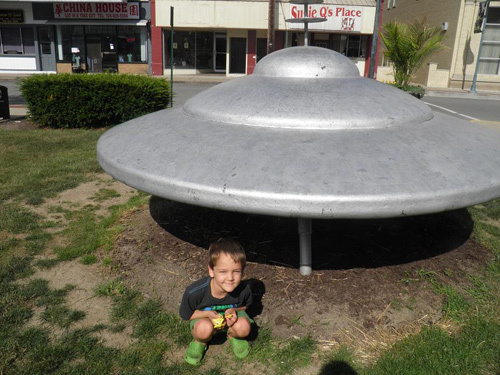 This Monster Kid knows where to wait for the Martians and monsters to return. 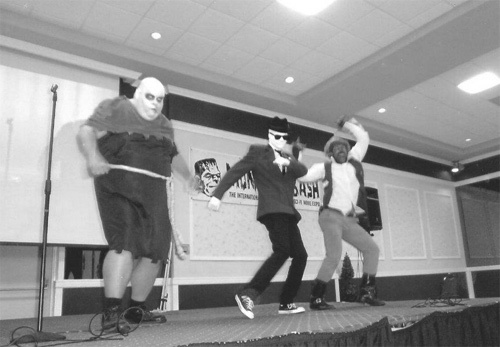 Monster Bash security is a force to be reckoned with.